At this point we shift gears. Chapters 4 through 12 (except for Chapter 6) walk down the income statement. Each chapter explains how sales revenue or an expense is connected with its corresponding operating asset or liability. In short, sales revenue and expenses cause changes in assets and liabilities. You can't understand the balance sheet too well without understanding how sales revenue and expenses drive many of the assets and liabilities in the balance sheet. Chapter 13 Exhibit shows the comparative balance sheet of the company and includes a column for changes in assets, liabilities, and owners' equities. These increases and decreases directly tie in with the cash flow statement. This chapter focuses on the first section of the cash flow statement, which presents cash flow from the company's profit-making operations during the year. 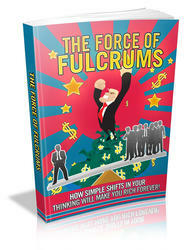 The main question on everyone's mind is why profit doesn't equal cash flow. In this example the company earned $718,200 net income. Why didn't profit (net income) generate the same amount of cash flow? The purpose of the first section in the cash flow statement is to answer this question. The last line in this section is labeled "Cash Flow from Operating Activities," as you see in Chapter 13 Exhibit. Frankly, this is not the best name in the world. I prefer to call it cash flow from profit. The term "operating activities" is accounting jargon for sales revenue and expenses, which are the profit-making activities or operations of a business. Most of the time I'll refer to this line as cash flow from profit, which is shorter and more descriptive, I think. In any case, from the cash flow statement we see that the company generated only $540,807 cash flow from profit compared with its much larger $718,200 net income for the year. Business managers have a double duty—first to earn profit, and second to convert the profit into cash as soon as possible. Waiting too long to turn profit into cash reduces its value because of the time value of money. Business managers should be clear on the difference between profit reported in the income statement and the amount of cash flow from profit during the year. Creditors and investors also should pay attention to cash flow from profit and management's ability to control this very important number. To get from net income to its cash flow result we have to make seven adjustments along the way. Each is caused by a change during the year in one of the company's seven operating assets and liabilities (i.e., the assets and liabilities directly involved in sales revenue and expenses). We shall look at these adjustments in the order shown in the company's cash flow statement (data is from in Chapter 13 Exhibit, page 66). 1. Accounts Receivable: At year-end the company had $1,000,000 uncollected sales revenue, which is the ending balance of its accounts receivable. The $1,000,000 is included in sales revenue for determining profit. But the company did not receive this amount of cash from customers. The $1,000,000 went into accounts receivable instead of cash. On the other hand, the company collected its $825,000 beginning balance of accounts receivable. The $825,000 collected minus $1,000,000 not collected has a $175,000 negative impact on cash flow. See the first adjustment in the cash flow statement (Chapter 13 Exhibit, page 66). If short, an increase in accounts receivable hurts cash flow from profit. 2. Inventory: Notice the rather large increase in the company's inventory during the year. This may or may not have been a smart business decision. Perhaps the business needed a larger inventory to meet higher sales demand; maybe not. In any case, the $440,000 inventory increase has a negative impact on cash flow from profit. The quickest way to explain this is as follows. The company paid for all the products sold during the year, which is reported in cost of goods sold expense for determining profit. Plus, it spent an additional $440,000 to build up its inventory. It's almost as if the company had to write $440,000 of checks to enlarge its inventory. See the second adjustment in the cash flow statement. In short, an increase in inventory hurts cash flow from profit. So far, cash flow is down $615,000—the $175,000 negative adjustment for accounts receivable plus the $440,000 negative adjustment for inventory. In contrast, the next four items are positive adjustments. 4. Depreciation: During the year the company recorded $260,000 depreciation expense, not by writing a check for this amount but by writing down the cost of its fixed assets. This write-down is recorded as an increase in the accumulated depreciation account, which is the contra or offset account deducted from the property, plant & equipment asset account (see Chapter 13 Exhibit, page 66). Fixed assets are partially written down each year to record the wear and tear on the assets every year of use. The company paid cash for the fixed assets when it bought these long-term resources. The company does not have to pay for them a second time when it uses the fixed assets. In short, depreciation expense is not a cash outlay in the year recorded and therefore is a positive adjustment to determine cash flow from profit. See the fourth adjustment in the cash flow statement. The depreciation ''add back'' to net income can be explained another way. For the sake of argument here, assume all sales revenue was collected in cash during the year. Part of this cash inflow from customers pays the company for the use of its fixed assets during the year. In a sense the business "sells" a fraction of its fixed assets to its customers each year. In setting its sales prices a business includes depreciation as a cost of doing business. So, each year a business recovers part of the capital invested in its fixed assets in the cash flow from sales revenue. In short, the company in this example recaptured or recouped $260,000 of the investment in its fixed assets, which is a significant source of cash flow. 5. Accounts Payable: The ending balances in the company's two accounts payable reveal that manufacturing costs and operating expenses were not fully paid during the year. The ending balances in these two liabilities relieved the company of making cash payments in the amount of $640,000 (again see Chapter 13 Exhibit, page 66). Not paying these costs avoids cash outflow, of course. But consider the other side of the coin. The company started the year with $535,000 accounts payable. These liabilities were paid during the year. The $640,000 not paid minus $535,000 paid has a net $105,000 positive impact on cash flow. See the fifth adjustment in the cash flow statement. 6. Accrued Expenses: These liabilities work virtually the same as accounts payable. The company did not pay $257,167 of its expenses during the year, which is the sum of ending balances in its two accrued expense liability accounts. But the company did pay the $197,500 beginning amounts of these liabilities. The $257,167 not paid minus $197,500 paid has a net $59,667 positive impact on cash flow. See the sixth adjustment in the cash flow statement. At the start of the year the business owed the tax authorities $36,000 on taxable income from the previous year. This amount was paid early in the year. At the end of the year the business owed $23,940 of its income tax expense for the year; this amount was not paid. The net effect is that the company paid $12,060 more to the government than its income tax expense for the year. See the negative adjustment for the decrease in income tax payable in the cash flow statement. • Increases in operating assets cause decreases in cash flow from profit; and, decreases in operating assets result in increases in cash flow from profit. There is a reverse effect on cash flow, in other words. • Increases in operating liabilities help cash flow from profit; and, decreases in operating liabilities result in decreases in cash flow from profit. There is a same way effect on cash flow, in other words. See in Chapter 13 Exhibit that the combined net effect of the seven adjustments to net income is a $177,393 decrease. Cash flow from profit suffered by this amount, due to the changes in the company's operating assets and liabilities. Still, the business realized $540,807 cash flow from its operating activities during the year. This source of cash flow is vital to every business. One last point: The accounting profession's rule-making body (the Financial Accounting Standards Board, or FASB) expressed a preference for reporting cash flow from operating activities. 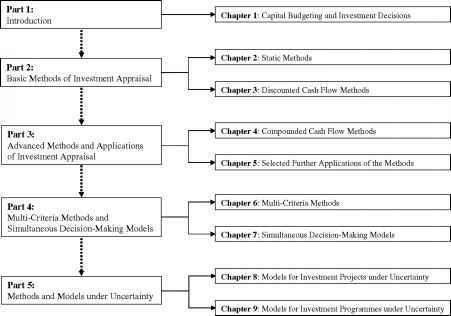 The format you see in Chapter 13 Exhibit is called the indirect method, which uses the changes in operating assets and liabilities to adjust net income. Instead, the FASB prefers the direct method for this section of the cash flow statement. The top half of Exhibit A on page 3 in Chapter 1, in fact, is an example of the direct method of presentation. Notice that the cash flow from profit is the same—$540,807 either way. Despite the FASB's clear preference for the direct method, the large majority of businesses use the indirect method, which the FASB permits. Which do you prefer? What Does "Cash Flow " Mean? More and more in the business and financial press you see "cash flow" mentioned in articles and stories. It may surprise you that there is no standardized definition of cash flow. At a recent party a colleague asked me what is meant by the term "cash flow." I had to tell him that it could refer to a number of different things. When I read articles in the Wall Street Journal that use the term ''cash flow" I'm not sure what the reporter means by the term. Reporters usually don't offer definitions of this term in their articles. But, when they do they don't necessarily mean the line in the cash flow statement that we've been analyzing above (i.e., cash flow from operating activities). Most often reporters seem to mean—or actually define "cash flow" as—net income plus depreciation expense (and any other noncash expenses). In this example, adding back depreciation expense to net income would give $978,200 "cash flow" ($718,200 net income plus $260,000 depreciation expense). Financial reports do not provide this figure. Cash flow statements focus on cash flow from operating activities, which is $540,807 in our example. I suspect the "reporters' definition" (if I may call it that) is mainly a shortcut to avoid the other adjustments to net income that are needed to arrive at cash flow from profit. But I don't know this for sure. For some years many writers in the business world and especially in the fields of finance and investments have done the same thing: They add back depreciation to net income to get "cash flow." Of course they're at liberty to define cash flow any way they want, although I wish they would be clearer on their terminology. I have nothing against adding depreciation to net income—as a starting point. But I do have serious reservations about stopping at this point, and not looking at the changes in other operating assets and liabilities that are intertwined with sales revenue and expenses and therefore also have impacts on cash flow from profit. The accounting profession has defined what it means by cash flow from profit (or, to be more technical, cash flow from operating activities). Perhaps it will take more time for this official definition to emerge as the generally accepted meaning of cash flow, but I have my doubts. Sua bottom line n cash lioiv stalemarl. $7iii,2Wj nei lnconr:e 'ess ragraao ¿¿ii cRw»mi3 equals SGI 8.200 increase ,n fflt.^ned eomij^s.